There is nothing worth than a flickering light or walking into a room, flipping the light switch and the light does not come on. You then change the light bulb and the light still does not come on. 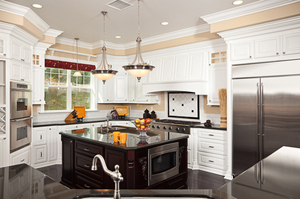 Whatever your lighting problems our expert Spokane lighting repair electricians can fix any of your lighting problems. Lighting repairs are an important part of the look and feel of a Spokane home. Improper lighting can be annoying, unhealthy, putting unnecessary strain on your eyes. Likewise, the type of lighting you choose can cause eye strain as well as ruin the overall look of a room. At Handyman Electric, LLC, our Spokane lighting repair experts will provide quality work that is done right the first time. We provide excellent customer service. Call today to schedule your next lighting repair.